""Revolution"" is a word that causes fear in some, exhilaration in others, and confusion in most. Originally used to describe a restoration, it eventually came to mean a sweeping, sudden attack on an existing order. Human history has borne witness to a variety of national and social revolutions population revolution, revolution of ideas, technological revolution, and revolution in education. Simultaneously, there has been a proliferation of literature on revolution, armed struggle, and violence aimed at unseating policies and leadership of governments and societies. Revolutionary struggles are more than simply armed internal conflict; they involve the essence of the political system. The desire to make such phenomena understandable often leads to oversimplification. Attempts to encompass their multi-dimensional nature, on the other hand, can become immersed in complexities, ambiguities, and misinterpretations. The perspective of this classic volume, available in paperback for the first time, is that revolution is here to stay. Guerrilla warfare, according to Sarkesian, is a particularly useful strategy for the weak, the frustrated, the alienated, and seekers of power against existing regimes. The collected works in this volume examine thei?1/2social roots of revolution, development of strategy and tactics, practice in city and countryside, dilemmas of attackers and defenders. The actors and thinkers collected and analyzed here range from leading political analysts, anthropologists, sociologists, historians, and officials as well as practitioners of guerrilla warfare. 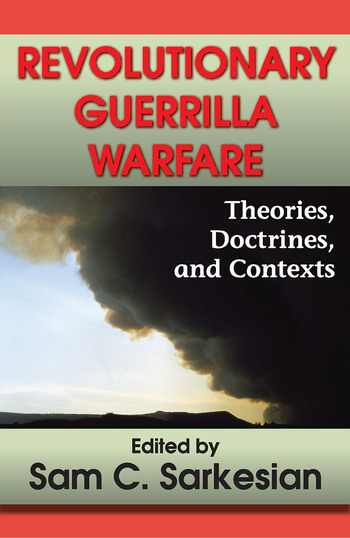 This core text with primary sources in the area of war, revolution, and insurgence develops an understanding of revolution, traces the growth of guerilla doctrine, and studies the specifics of revolutionary and counterrevolutionary guerilla warfare.